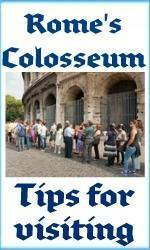 The Swiss Guard at the Vatican City, Rome - where to see them and who they are. 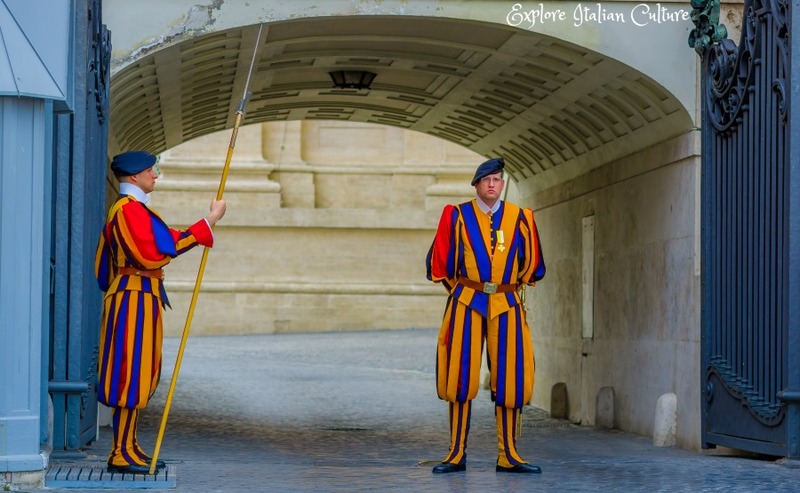 The Swiss Guard : where to see them and who they are. They may look bizarre - but are the Papal Swiss Guard actually capable of policing? 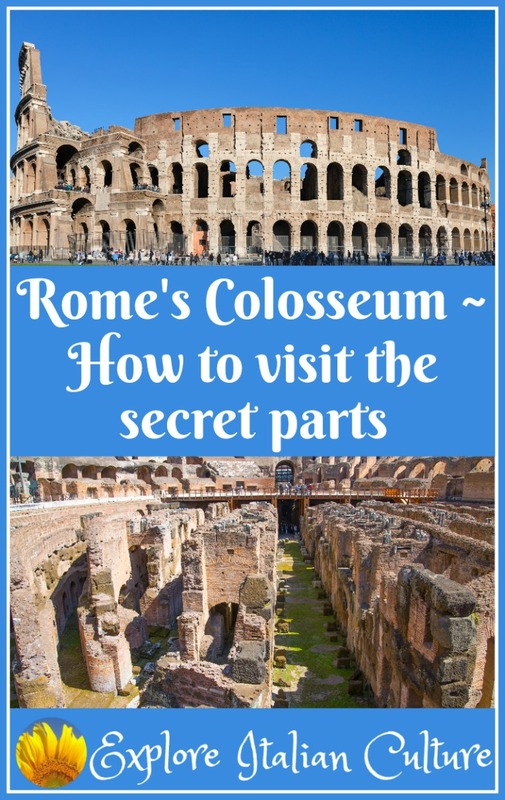 If you've been to Rome you will have seen them. 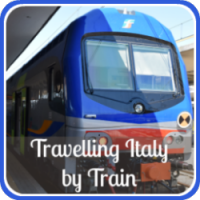 If you're about to go to Rome, you can't miss them. They're the smallest and oldest army in the world and they've been guarding Popes since 1506. Their uniform is like no other police uniform, ever! Welcome to the world of the Swiss Guard. Kids are always fascinated by the uniform and by the almost mediaeval weapons they carry. But not many people who visit Rome and have their selfie taken with a Swiss Guard know much about them. 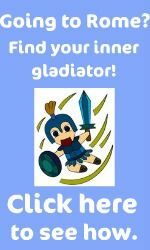 It makes the experience more interesting if you do - and you in turn can make it interesting for your kids. 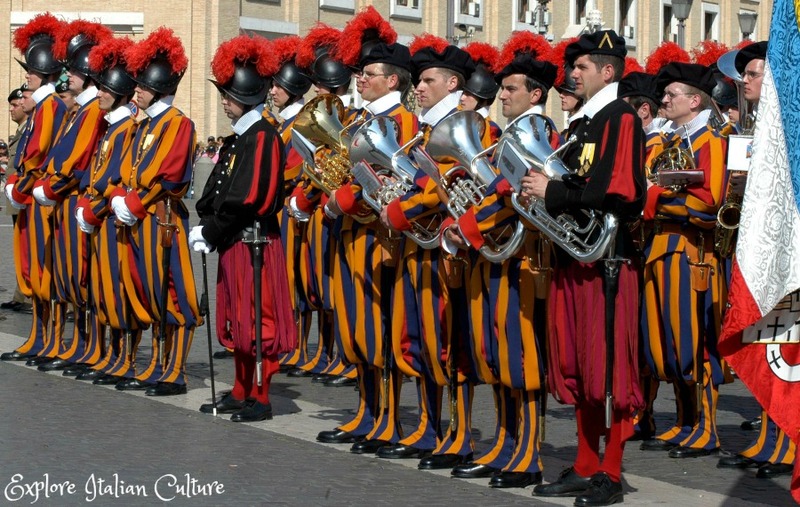 So here, we uncover the facts for you: who the Swiss Guard are, where they come from and what, exactly, they do. And should your children show an interest in joining up, we cover that, too! Their mission statement: a long history of courage. The mission statement of the Papal Swiss Guard is a straightforward one and has not changed since they were formed in 1506. 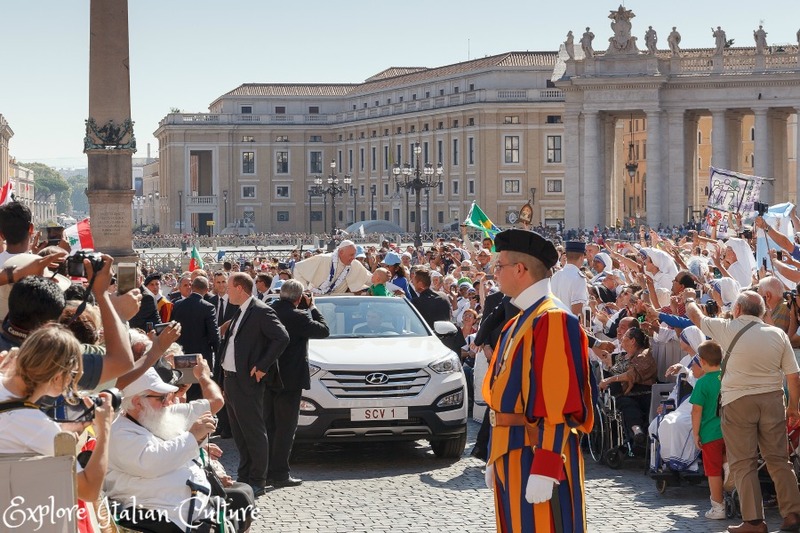 It is to protect the Pope and his residence "if called for, even by giving one's own life". And it's not just words: they have a long history of courage, based on that principle. Not long after their formation, in 1527, 189 Swiss Guards held back a massive onslaught from the army of the Emperor Charles V, who attempted to invade St Peter's Basilica to slay the Pope. Pope Clement VII was fortunate: with the help of his Swiss Guard "Army", he escaped. The Swiss Guard were not so lucky: 150 of their number were slain that day, on the altar of St Peter's. 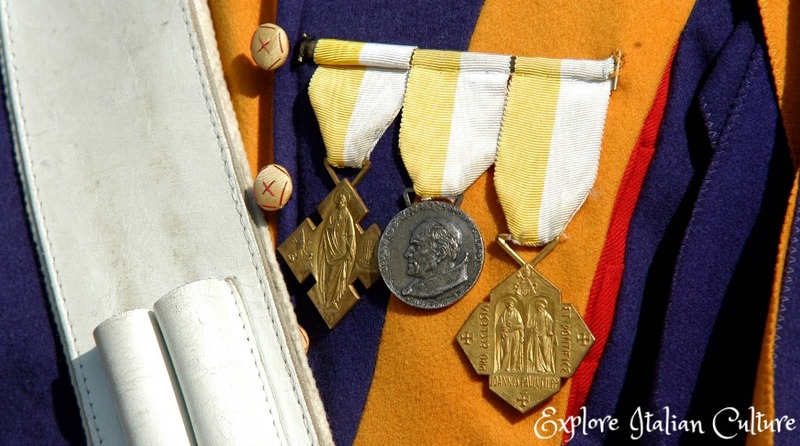 The Swiss Guard's medals reflect their mission to protect the Pope at all costs. Given that mission statement you won't be surprised to learn that you can see the Swiss Guard at any time, day or night, at the entrances to the Vatican City, outside the Pope's own apartments and at any public event within the Vatican, including celebrations of Holy Mass, meetings with heads of states and public audiences. The Guardsmen live in barracks within the Vatican City. Beginning in a dormitory, they graduate to double or triple rooms and there are a small number of apartments for those guards who marry during their service. 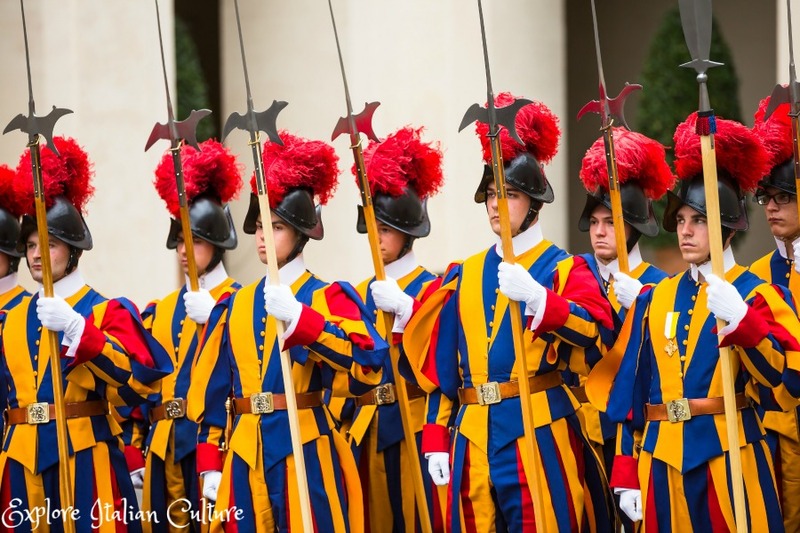 The ethos of the Swiss Guard is based around psychological and physical fitness; their barracks includes a well-equipped gym, and the guards have several sporting teams. You won't be able to gain access to the barracks, but you can see Guardsmen at the entrance. On May 6th each year the Guardsmen can be seen during the swearing in of new members of the Guard which usually takes place in the courtyard of San Damasco, within the Vatican City. This is a ceremony worth seeing. It includes religious and lay dignitaries and representatives of the Swiss Army as well as families of all the recruits, and retired Guardsmen. All servicemen are in full dress uniform. 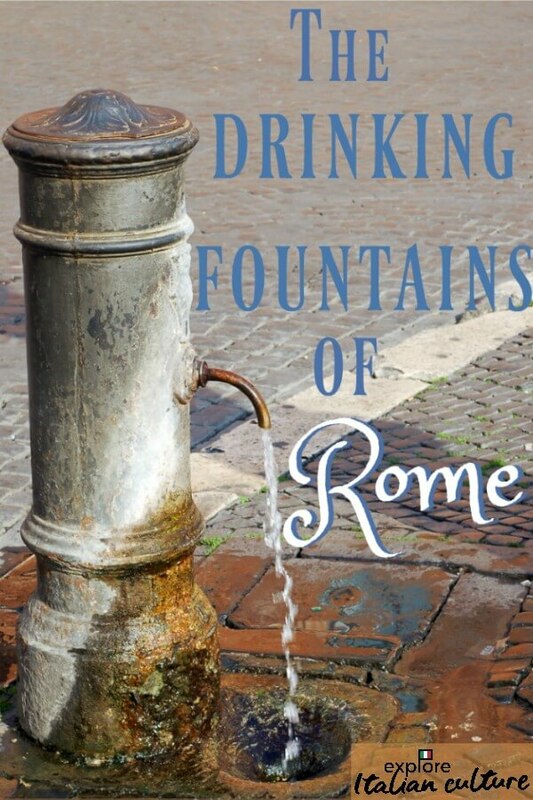 If you happen to be in Rome in early May, it's well worth a trip to the Vatican City to watch. And if you're not? Take a look at this video, which shows the new recruits as they prepare for their inauguration ceremony. Male - women are not permitted to apply. At least 1.74 metres (5' 8") tall. Under 30 years old, although exceptionally, a former (retired) Guardsman may be permitted to return after the age of 30. Unmarried - although if a Guard is over the age of 25, has completed at least three years' service, is at least the rank of Corporal and commits to serving for at least another three years, he may be permitted to marry. A Swiss national citizen in order to "preserve our typical Swiss character" - quiet, professional and dedicated to duty. A graduate of the Swiss Army who has completed the full military training agenda. 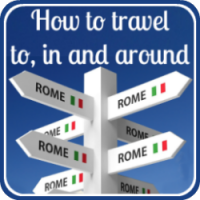 A practising Roman Catholic who can be trusted to uphold the values of that faith in their everyday life within the Curia, and in particular in their contact with visiting dignitaries. 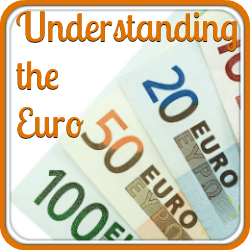 Articulate and self-directed; as an indicator of that an applicant must be in possession of a certificate of completion of three years' higher education or two years of professional training (such as an apprenticeship). In good health, physically and psychologically, and have passed the very thorough entrance examinations which are also both physical and psychological testing. Ready to commit to a minimum of two years' service with the Corps. 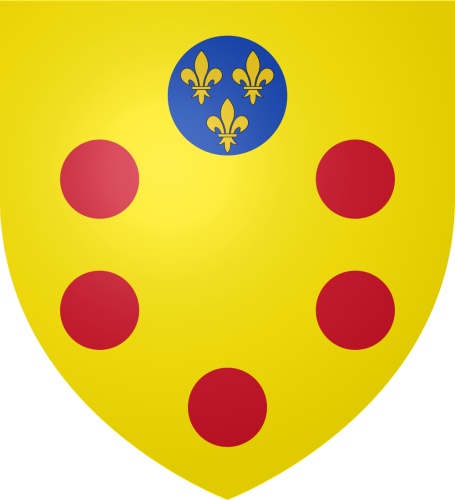 The Medici coat of arms. 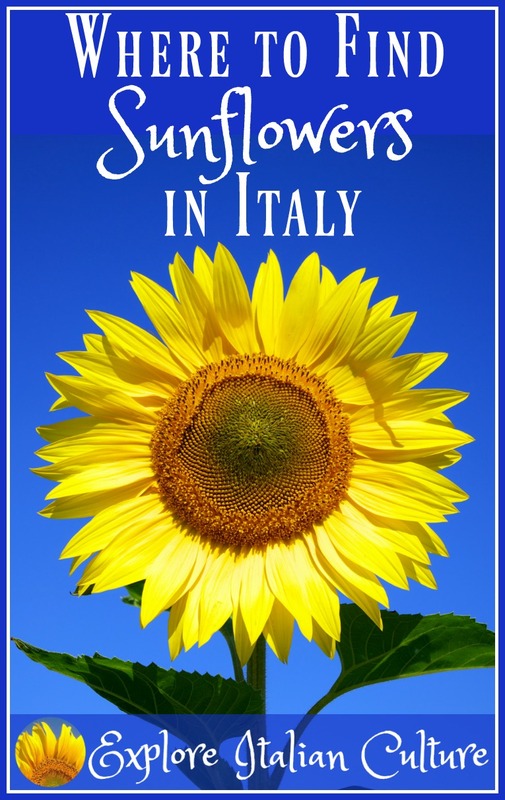 There are numerous guidebooks and websites which claim that the Swiss Guards' uniform was designed by Michelangelo. It wasn't. The original uniform was designed in the Renaissance but the current dress was created in the early 1900s by a French designer called Jules Repond and hasn't changed since. The colours of the dress uniform - the daily uniform is a plain blue - are the blue, yellow and red of the House of Medici, one of the most wealthy and influential families of Europe. The plumes on the dress helmets used to be made from pheasant or heron feathers but are now ostrich. Their colours denote rank : white for the Commandant and Sergeant Major; purple for Lieutenants; red for privates and yellow and black for drummers. Don't let their colourful uniform deceive you. These are a highly trained, state-of-the-art combattants who are among the most highly trained and skilled marksmen in the world. The uniform creates a perception that they undertake ceremonial duties only, but all Papal Swiss Guards have undergone military training within the Swiss Army and are skilled in combat before being accepted into the Corps. 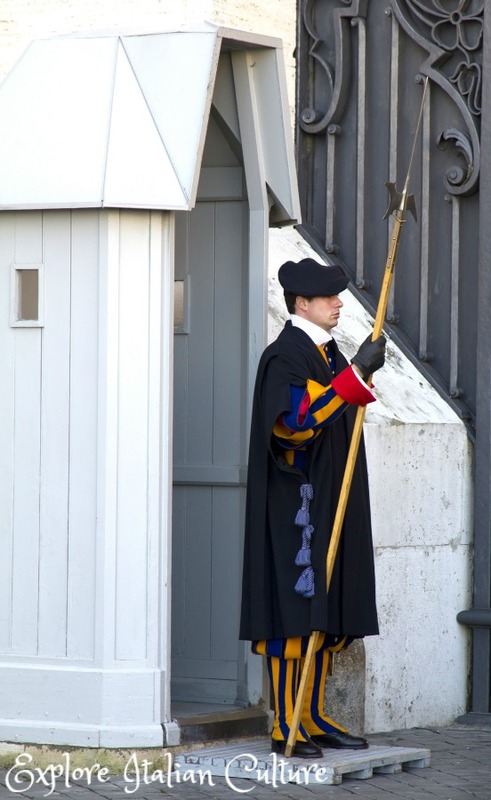 The Swiss Guard are allowed to wear black capes when the weather is cold. Whilst serving in the Vatican they undergo further training, particularly in terrorist attacks and unarmed combat techniques. Like any military order, they have daily drills and inspections. They also carry live weapons, including automatic pistols, bolt action rifles and sub-machine guns. Since the attempt on the life of Pope John Paul II in 1981, their training in marksmanship has been daily and intense. Their swords and eight foot long 'halberds' (which you can see in this picture) are for display only. What happens when Swiss Guardsmen retire? Whether they've served for two years or twenty, every former Swiss Guard is entitled to become a member of an elite group known as 'ExGuardistas'. They receive a newsletter and gather together on special occasions - in particular they are invited to the May 6th ceremony when new recruits are sworn in. The largest percentage of recruits serve the minimum of two years but then prefer to return to a more normal life elsewhere. 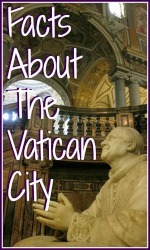 It's a great experience - but to be confined within the Vatican City can have its drawbacks. A heartwarming story of a Pope and a Swiss Guardsman. Pope Francis, elected in 2013, is famously known for his reluctance to stand on ceremony and his concern for the wellbeing of others. 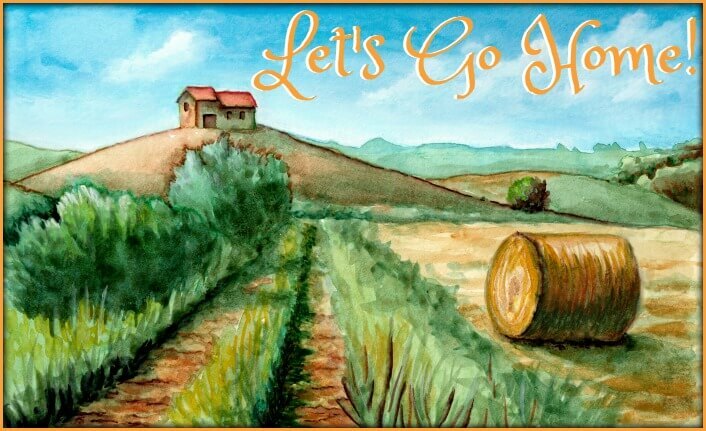 One morning, on leaving his apartment, he came across a young Swiss Guard who had been on duty all night. Having learned that the guards were under orders to stay awake and stand to attention during their night guarding of his quarters, he disappeared, only to return with a chair. Asking the guardsman to sit down, he was told that was impossible because of the orders of his senior officer. "Oh, is that so? 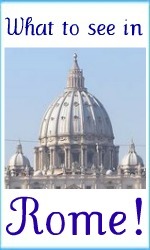 Well, I'm the Pope and I am asking you to sit down" the head of the 1.2-billion Roman Catholic Church replied. The guard did so and the Pope once again disappeared only to return with a sandwich he had made himself. He insisted that guard should eat it, leaving him with the words "Buon appetito, brother". 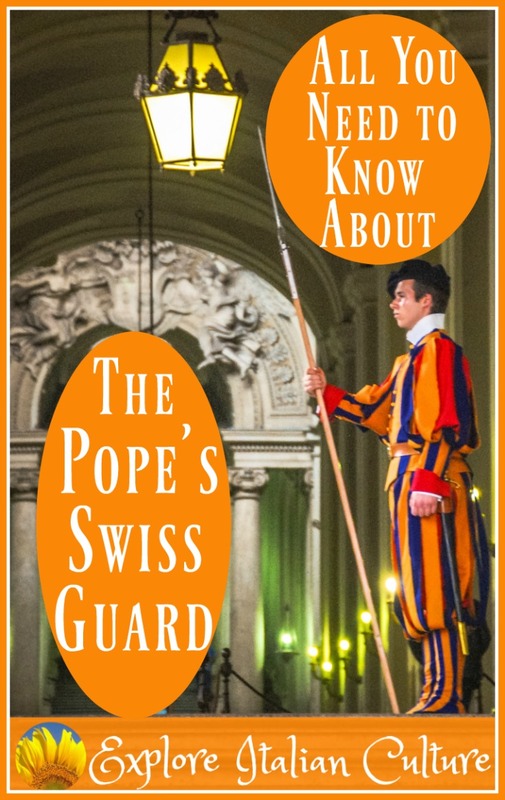 Want to know more about the Swiss Guard? That's understandable - they're a fascinating group! This link will take you to the Vatican's own website (the English version) where the history of the Guards is laid out, from mercenaries to crack army. 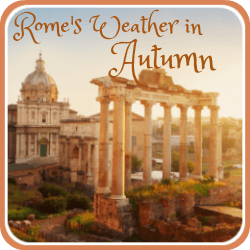 Want more information about Rome? No problem! 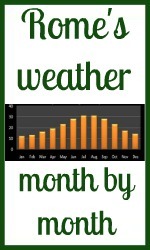 Click on any of these pics for more information. 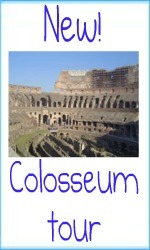 Follow me on Pinterest - and see my board about what's free to do in Rome at any time of year!